Strap Stool is part of the Strap Furniture serie, easy-to-assemble furniture designed by Bram Burger and Stijn van der Vleuten as the duo bram/stijn. 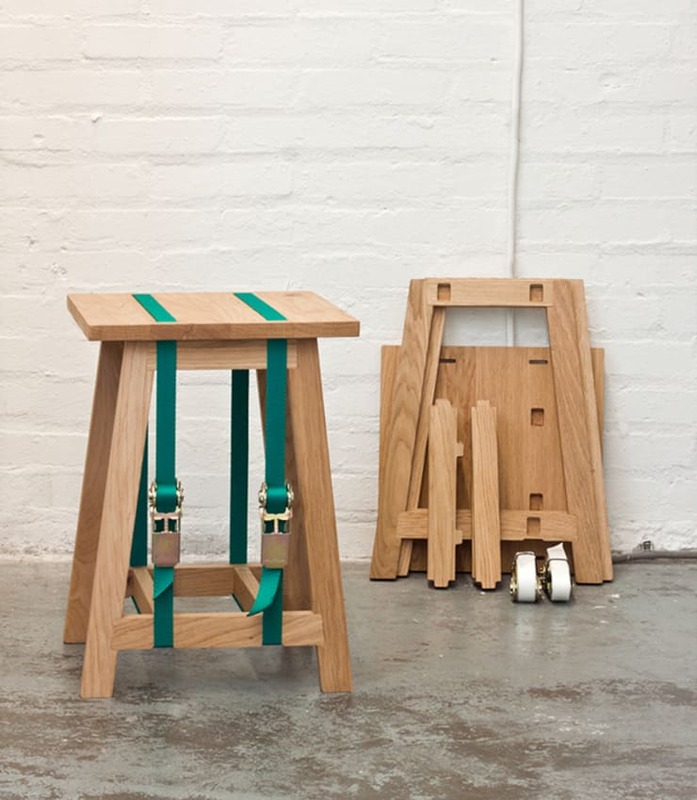 The furniture comes as a flat pack and sets up in a blink of an eye, using the included straps. Every package only consists out of a few oak wood components that seamlessly fit together. After assembly, the colourful straps hold the furniture together tightly whereby stools, benches, tables and cabinets originate!